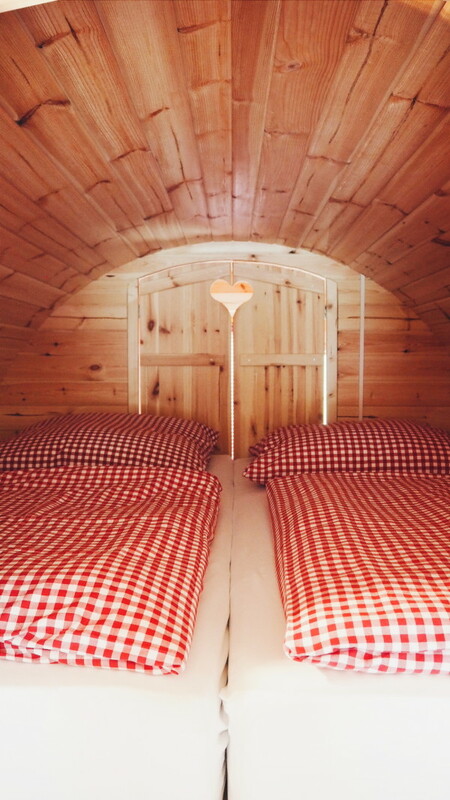 Glamping 3.0 » Sleeping in a Wine Barrel! 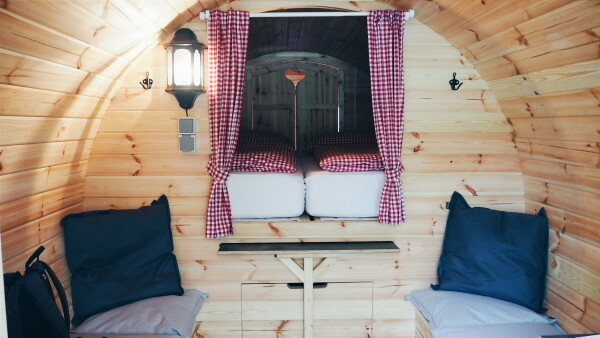 I’m always open to new things when it comes to travel so when I heard about this camping in Germany where you could sleep in a used wine barrel, I got pretty exited. It all started when I planned a visit to my sister, who lives in the south of Germany. It takes about 7 hours to drive there as she lives near the black forest, close to Switzerland. So why not make a stopover? Germany is a beautiful country full of hills, cute towns and nature parks. But when I stay somewhere, I want it to be something special, something I haven’t done before. This is when Camping Rissbach caught my eye. You love it or you hate it. Campings. I use to camp with my parents since the age of 3 but we did it in Greece which is nothing compare to a Dutch camping where everything is well organized. No, we did it back to basic style so I don’t have a lot to compare with. My boyfriend loves camping so I thought it would be nice to surprise him with something special. The camping I choose was perfectly situated between Amsterdam and my sisters house in Germany. After a 4 hours drive we arrived at Camping Rissbach, situated perfectly next to the Moselle river which flows through France, Luxembourg, and Germany. The camping exist 10 years and is run by a Dutch family. The atmosphere is relax and laid back. Like all campings, you can bring your own caravan, tent or camper. 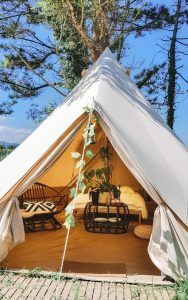 But this camping is extra special because of their luxe glamping options. Sleeping in a Wine Barrel. I booked a XXL Wine Barrel to sleep in and it was so cool! The Wine Barrel has everything you need. A fully functional toilet, washing sink, table, refrigerator, a 2 persons bed and the possibility to make 2 extra beds. I felt like a total gypsy sleeping in here! There are 4 XXL Wine Barrels available and 6 normal size. The normal size barrels don’t have a toilet and only one entrance instead of 2. 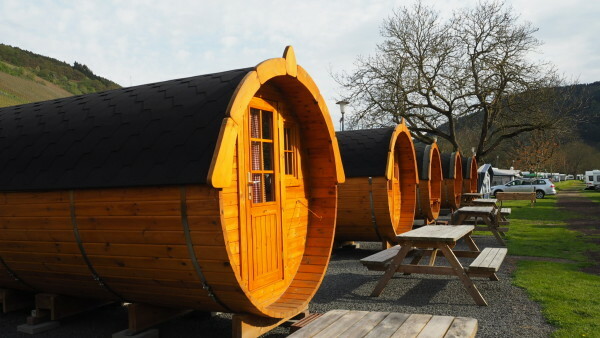 The Wine Barrels are all stationed alongside the river which is a great way to wake up! You can get freshly baked bread at the campings bakery and have breakfast in front of your accommodation. Traben-Trabach is a great area for cycling and walking. I really don’t think hiking is just for “older” people. Raised in a country without hills or mountains, I love hiking! Moselsteig is the area’s most lover hiking trail. At 365 km, it’s voted as the most beautiful long distance route in Germany. I only managed to walk a very short part of it due to lake of time but I did walk up to the old fortress (which was a pretty steep climb!) 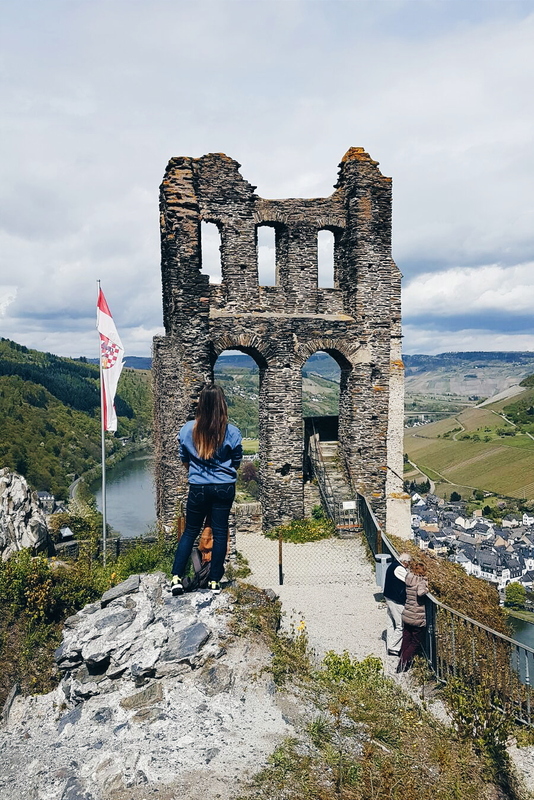 From here you have a beautiful view of the Moselle river and area. You can book a walking tour via camping Rissbach. 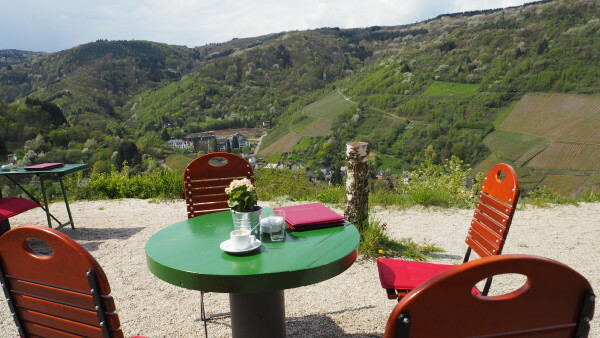 Pauze for a coffee and enjoy the view of the many wineries. Yes, Traben-Tribach is full of them! 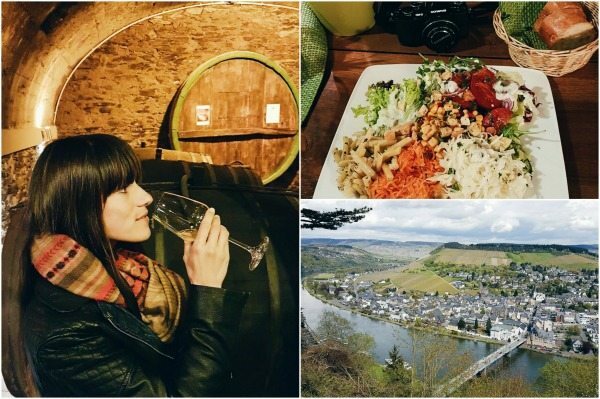 This place is renowned for the steepest wineries in the whole of Europe. There are many wine cellars and wine tastings all year round and I was so lucky to witness such an event during my stay. All the wine farmers around the area showcasing their best wines and I got to taste it? Sleeping in a wine barrel fits quite well don’t you think? 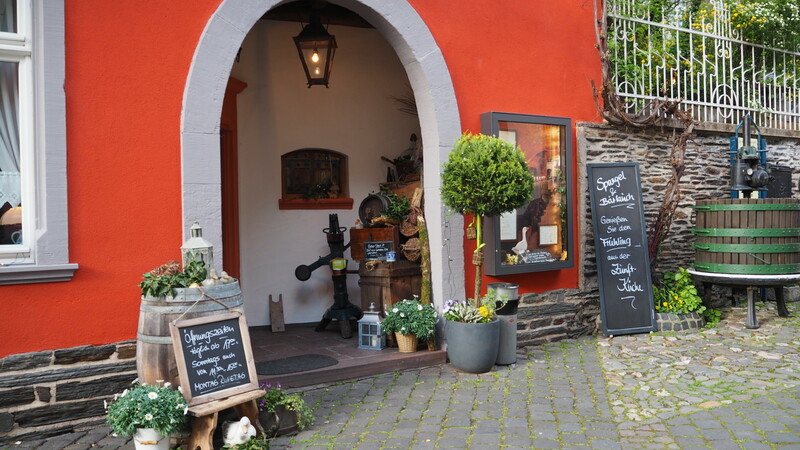 If you want something traditional you should eat at Zunft Shüne restaurant. It’s like walking into a museum with hundreds of attributes and different rooms. Walk towards the village past the Moselle river to get there in 15-20 minutes. Curious to see what this part of Germany has to offer? 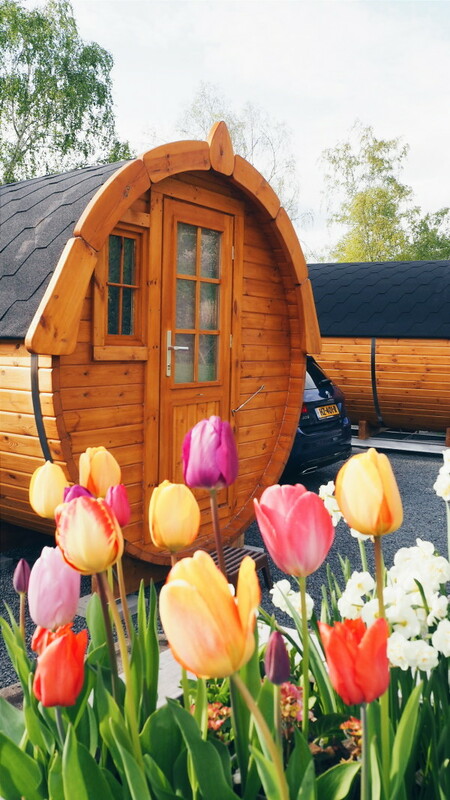 Book your stay in a Wine Barrel here! *Follow my road trip though Switzerland. On the blog next week! those are wine barrels, like I am king of scotland.